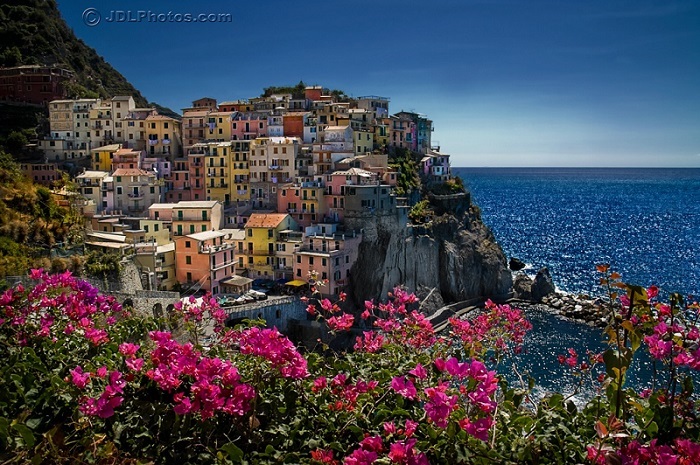 The Cinque Terre is one of the most famous and most beautiful coasts in all of Italy. Over the years Maria and I have discovered many of its secrets. On this page we share those secrets. 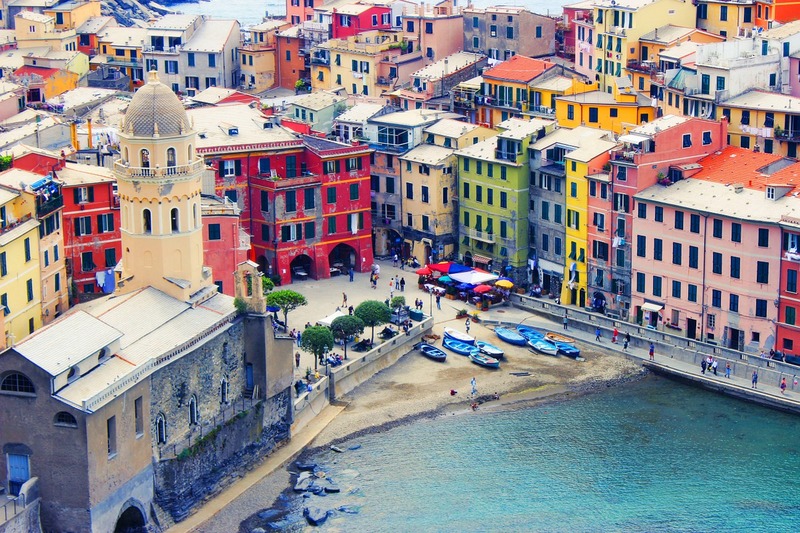 "Join us in discovering the Cinque Terre, Italy at its most seductive!" Best Place to Stay on the Cinque Terre Coast? 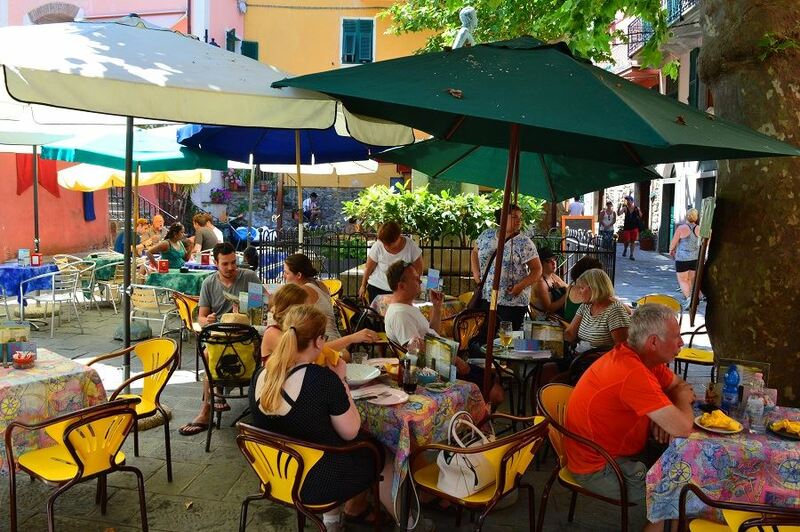 Base yourself in Levanto which is a vibrant, charming little place and catch the train that runs to the Cinque Terre. It only takes 5 minutes between most of the towns and costs around 12 Euros for a day pass to visit all of the Cinque Terre towns and do all the walks. Try to stay at the Oasi Hotel (if you can get in) or the Villa Valentina; the prices, both for hotels and restaurants, are way better in Levanto than on the rest of the Cinque Terre coast. In Levanto you also get far friendlier service too. Nearly forgot, you've also one of the loveliest cycle routes in Italy on your doorstep - here are the details. Prefer accommodation in the Cinque Terre itself? Not much to choose from, most is horrible and horribly over-priced. A good option though is L’Ancora in Riomaggiore. 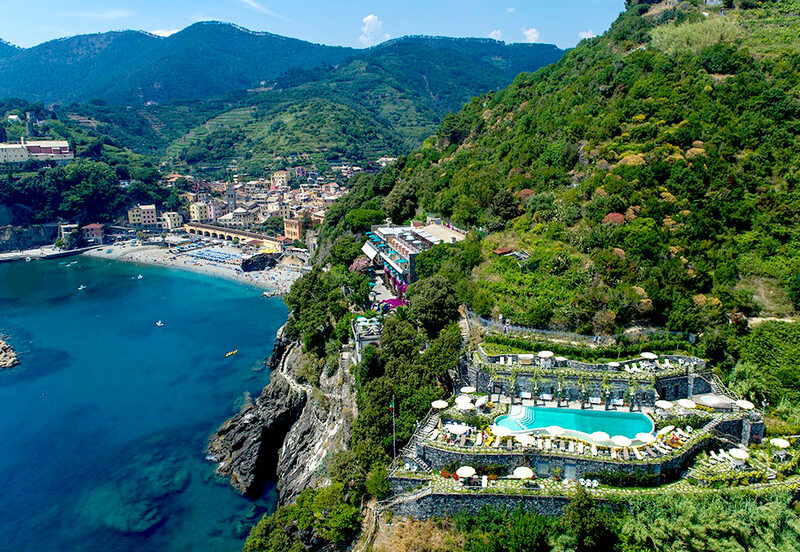 More expensive, yet wonderful, is the Porto Roca near Monterosso. The photo below is of the hotel's gorgeous swimming pool. Try to plan your visit for May, June or September to avoid the crowds. In July and August the charming atmosphere of these delightful hill towns is completely overshadowed by the swarming tourist masses. This is much the case for not only the Cinque Terre, Italy anywhere is invariably lovelier outside of July and August. This part of the Ligurian coast is blessed with a very mild climate and the coast’s winter temperatures average around nine degrees celsius. In fact visiting the Cinque Terre during winter is not a bad idea at all. Hardly any tourists visit the Cinque Terre during this time and you really get to experience the atmosphere of the towns. Take the time to wonder the twisting lanes and join in the gossip in the piazzas, even if you don’t understand much the passion for life of the local folk is very catching. We've even spent Christmas in the Cinque Terre and enjoyed it immensely - although everything is completely different to summer it is still a wonderful and unforgettable experience. Summers are hot and dry but not humid and on most days welcome sea breezes cool things down a little. The Cinque Terre beaches are mostly stony affairs, Monterosso has the best beach but the pay sections are rather expensive and the free bit is not the greatest. 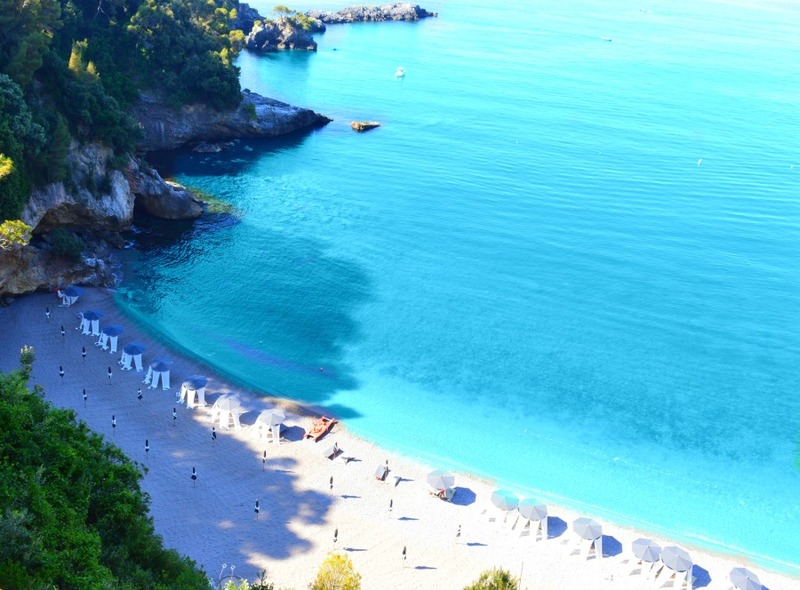 Rather spend time on Northern Italy’s most famous surf beach in nearby Levanto. 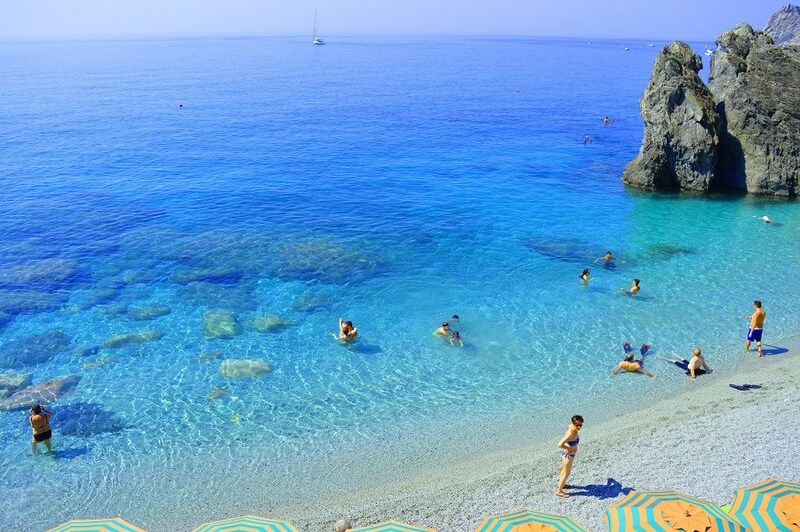 For more on Levanto's beaches, and other gorgeous beaches in Liguria, click here. 1) Church of San Giovanni Battista in Monterosso and a church of the same name in Riomaggiore. 2) The remains of the sixteenth century castle that dominates Vernazza. 3) Church of Saint Margaret of Antioch in Vernazza dating back back to the thirteenth century. 4) The fourteenth century Church of Saint Pietro in Corniglia. 5) Manarola’s fourteenth century Church of San Lorenzo (Saint Lawrence). Most famous is the Via dell’Amore between Riomaggiore and Manarola, this is an easy thirty minute walk along a paved path. The Via dell'Amore is the place to go for a romantic time in Italy. Maria and I always feel like we are on honeymoon again as we stroll along. Watch the sunset from here and before you know it you'll be singing each other Italian love songs. For more details on all the walks click here. Walked between all the towns and still have energy to burn? Then climb the hills behind the towns. One of the best is the one to the ruins of the sixteenth century tower behind Corniglia - great exercise and, if you make it, the views are spectacular. Remember though that you'll need to purchase a card to get access to the walks which are in a National Park. Best option though is the day ticket that includes train travel between Levanto and all the Cinque Terre towns, access to all the walks and bus travel up to Corniglia - which saves you a walk of 400 steps. You can buy this ticket at all the stations of the 5 Terre and Levanto and it costs around twelve Euros. They'll also be able to tell you which of the walks is open as they are sometimes closed in bad weather or when the trail has been washed away. Monterosso has the best Cinque Terre beach but it's a crowded place and you would be much better off on the beach of nearby Levanto. For the rest Monterosso is the biggest of the Cinque Terre towns and although a lovely place it's overshadowed by the other four towns. It's a great place though to start a boat trip along the coast and Angelo and Paula’s "Cinque Terre Italy - The Boat Tour" that leaves from Monterosso beach is a must. 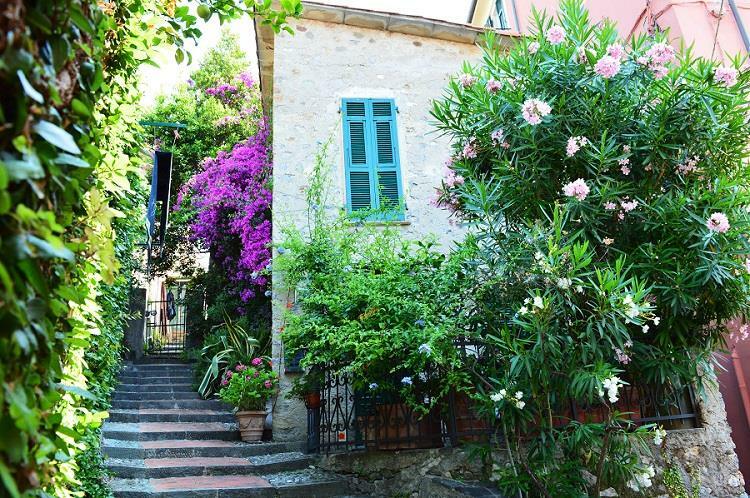 They also own the wonderful Villa Valentina in Levanto. 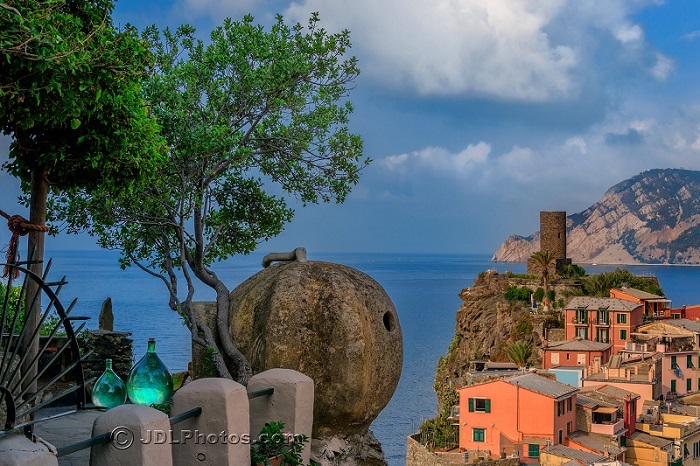 A lot of people consider this to be the best Cinque Terre village and it's a wonderful little place indeed. In my view it is the second best town after Manarola but really there is not much to choose between them. The old fort, colorful jumbled houses and the little harbor are particular highlights. Make sure you enjoy the view of Vernazza from the surrounding hills, it has to be one of the most beautiful views in all of Italy. A little away from the coast, and traditionally more focused on farming (olives and vineyards) than fishing and because of this Corniglia is a little different in atmosphere and architecture to the other towns of the Cinque Terre. I really love Manarola immensely, the multi-hued houses tumble down to the little fishermans cove, many seemingly ready to roll off down into the turquoise sea below. Framing it all are the terraced hillsides full of olive groves and vineyards and if you come in spring or summer there'll be flowers everywhere too. After Corniglia this is the second smallest town yet in my view it is the loveliest. Most western of the towns Riomaggiore is as unforgettable as the rest of the Cinque Terre. The vineyards around town produce a white wine called Cinque Terre and more famously a Passito wine called Sciacchetrà. Unfortunately over the last twenty years many have abandoned the vineyards, attracted by the lure of easy money from tourism. Many vineyards around Riomaggiore and the other towns of the Cinque Terre are now in a sad state of neglect so make sure you get to try a few bottles before these varieties disappear! If you would like to base yourself in Riomaggiore then the L’Ancora is reasonably priced by Cinque Terre standards and offers decent clean accommodation. 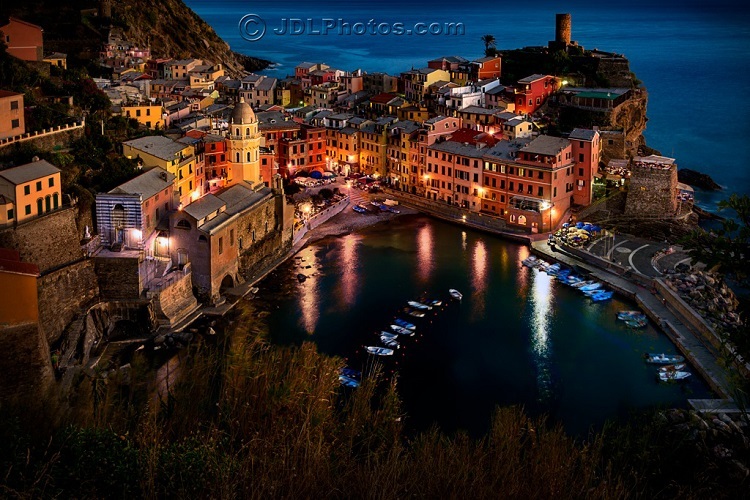 Most visitors will not only visit the Cinque Terre, Italy has hundreds of other great places to visit. Don’t make the mistake though of visiting for too shorter time, a day really is not enough. Personally I would suggest a minimum of two days but three days if you have the time, perhaps one day spent running up and down the Cinque Terre on the train from Levanto, followed by a day walking between the towns and then the last day at leisure or enjoying a boat trip from Monterosso. Need a map of the Cinque Terre Italy and Levanto? Here is our personalised Cinque Terre Map! 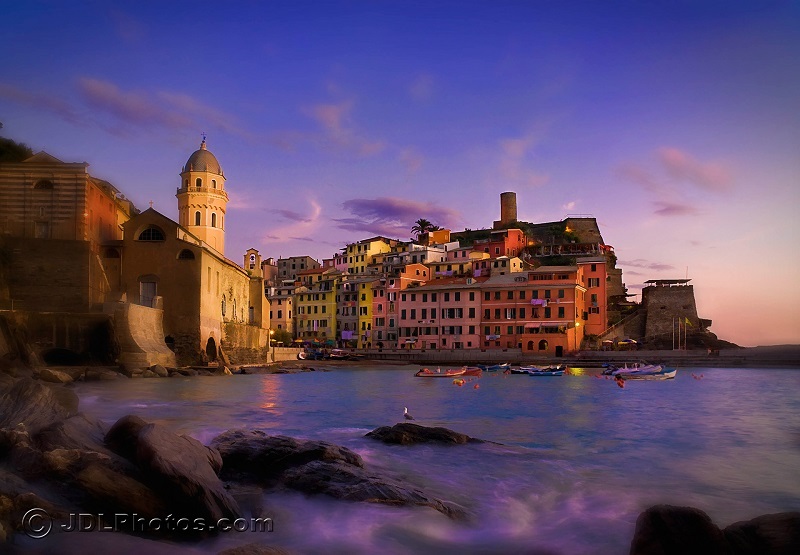 Just as lovely as the Cinque Terre but as yet undiscovered is Tellaro on the Gulf of Poets - click for details. A gorgeous cycle path along the old railway line, stunning views and fascinating towns. If you're visiting the 5 Terre don't miss this great experience. Have an extra day or two? 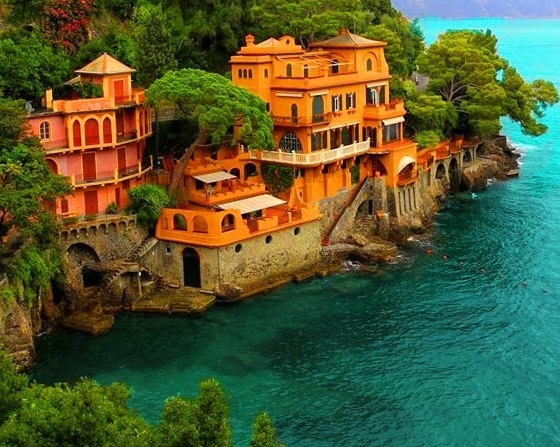 Then you MUST visit Portofino. 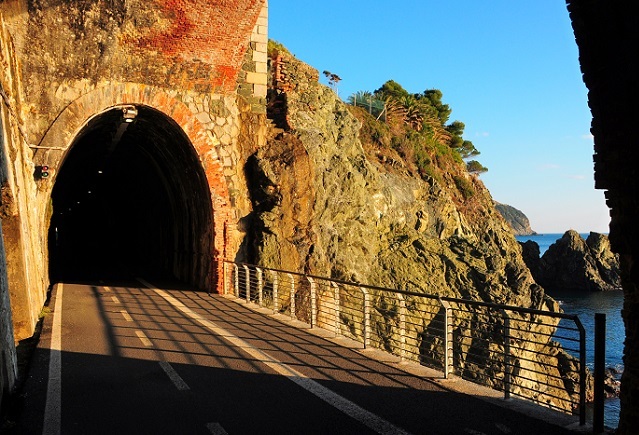 Want to explore the other towns and beaches of Liguria? View our guide here. 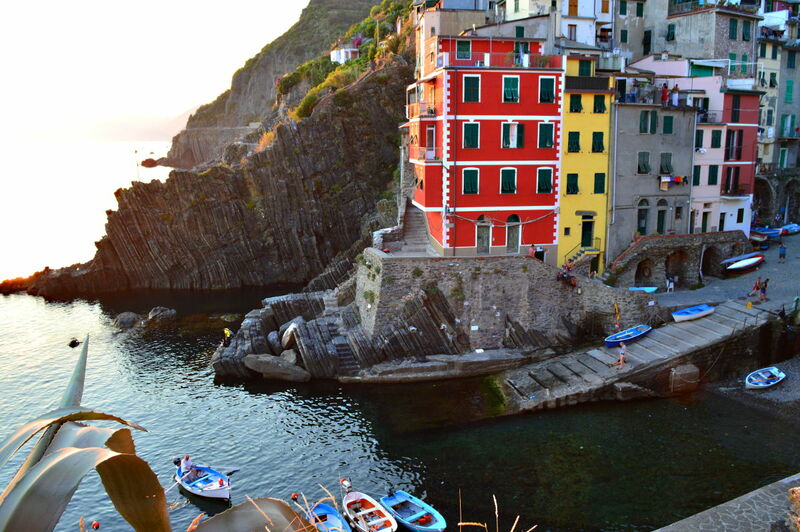 Have You Been to the Cinque Terre? If you have visited the Cinque Terre? I would love to hear all about it! 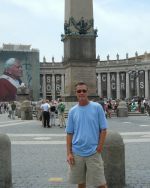 Want more inside information on the Cinque Terre Italy and much else besides? Sign up for our free monthly newsletter! I CONSENT TO YOU USING MY INFORMATION ONLY TO SEND ME YOUR MONTHLY NEWSLETTER. I UNDERSTAND I CAN UNSUBSCRIBE AT ANY TIME BY CLICKING THE UNSUBSCRIBE LINK AT THE BOTTOM OF ANY EMAIL.